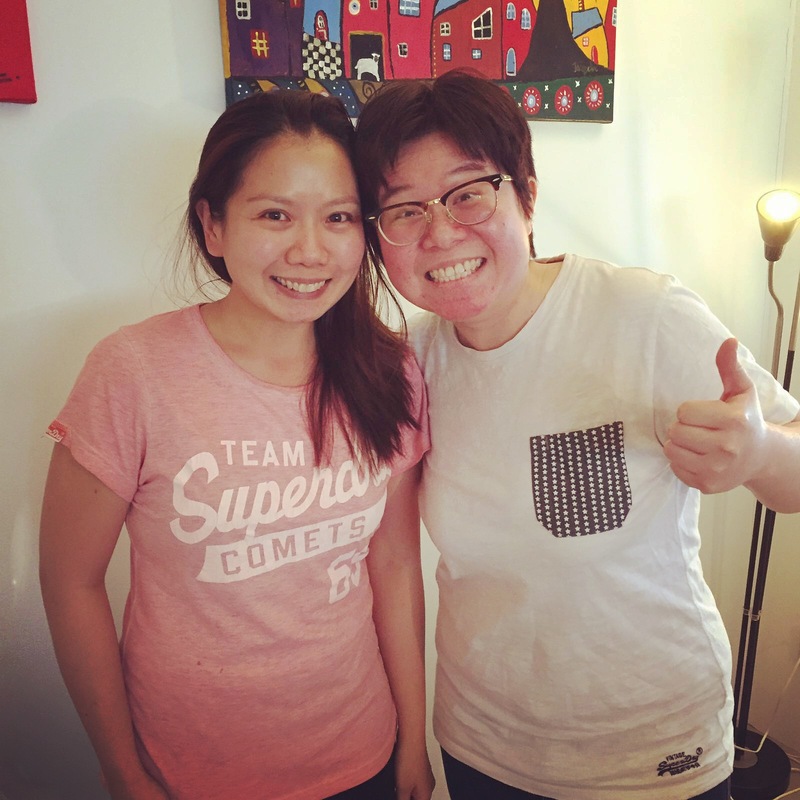 Jael and Jacqueline are two Singaporean girls who lived in 4 different countries since 2008. They end up in the Netherlands in 2014 and we became friends in 2015 when our mutul friend Emily had her house warming party. Jael works at Unilever, Jacqueline is a PhD candidate at Erasmus University Rotterdam. 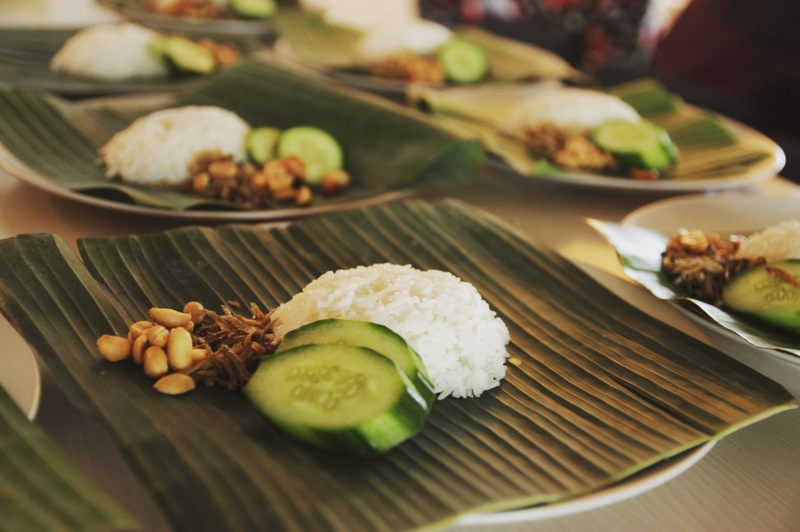 Their passion for helping to reduce world hunger combines with their master chef cooking skills, driven them to initiate the Eat2Feed food club in Rotterdam. They ask for 30 Euro as donation for a 3-course lunch/dinner at their place. They will came up with the menu with different themes and every time there will be 10 spots for the charity event, by the end of the event, they will donate what they received to World Food Program. I think it’s a great initiative and to contribute our little effort in this, we decided to go to the second Eat2Feed event which was held on the 16th of April. 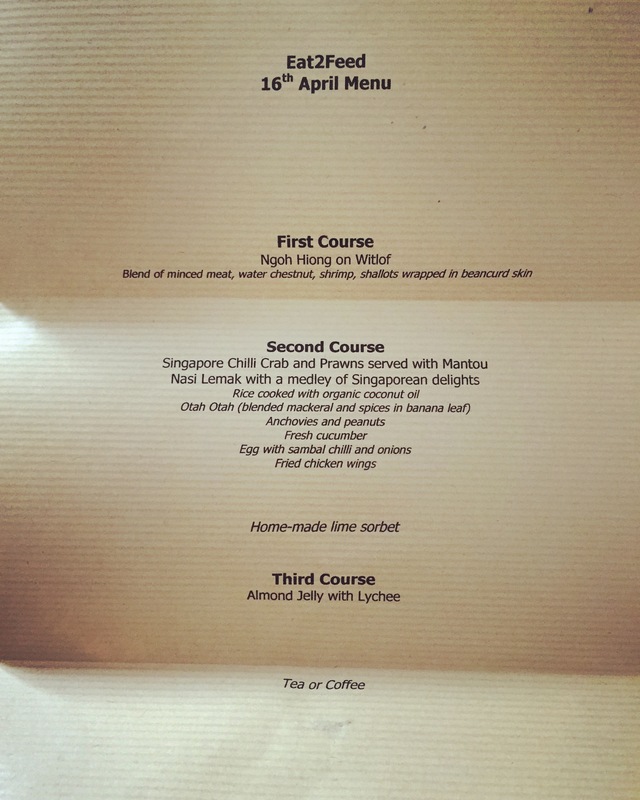 The theme of the dinner was: “hometown, Singapore”. The menu are presented at each seat before dinner, Jael and Jacqueline will explain each course during serving as well. 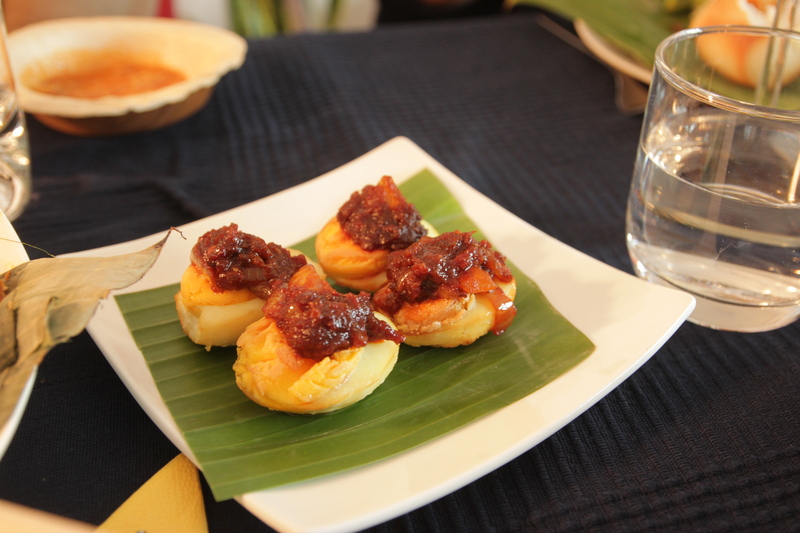 Ngoh Hiong is made with blend of minced meat, water chestnut, shrimp, shallots wrapped in beancurd skin. 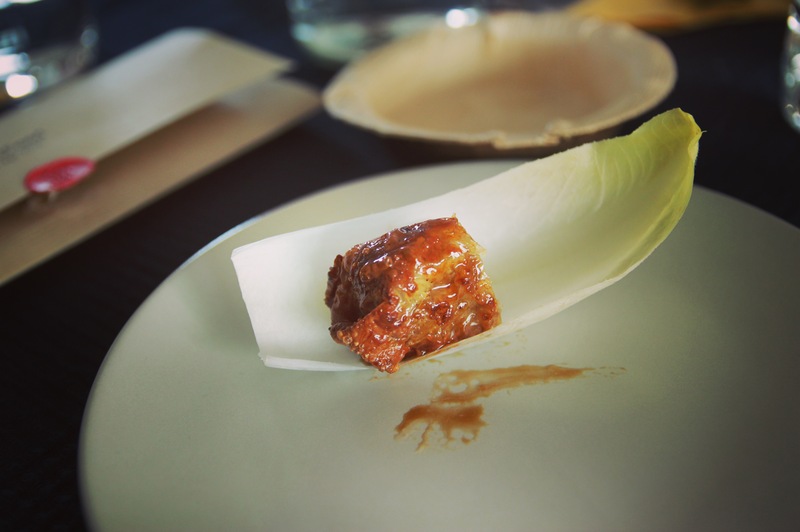 It was a very time consuming dish, and it was absolutely delicious. 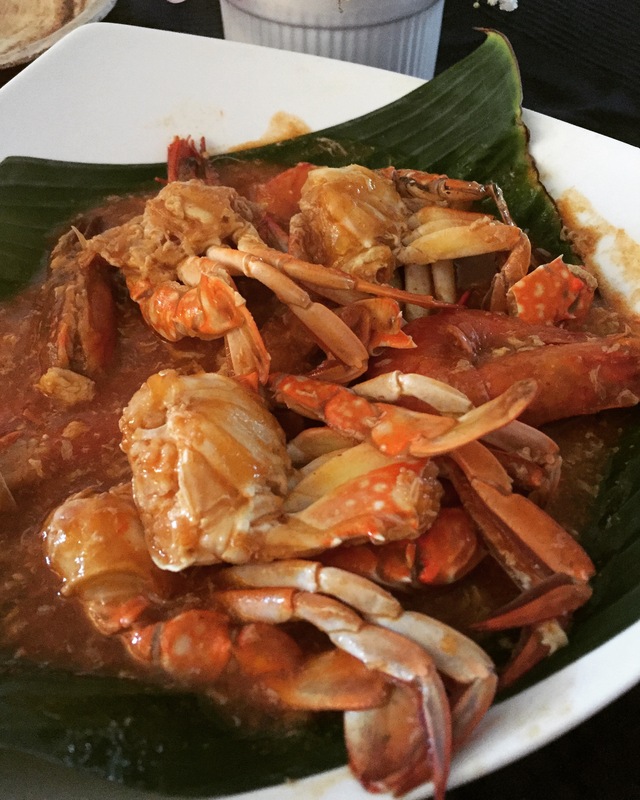 Second Course was: Singapore Chilli Crab and Prawns served with Mantou, Nasi Lemak with a medley of Singaporean delights. 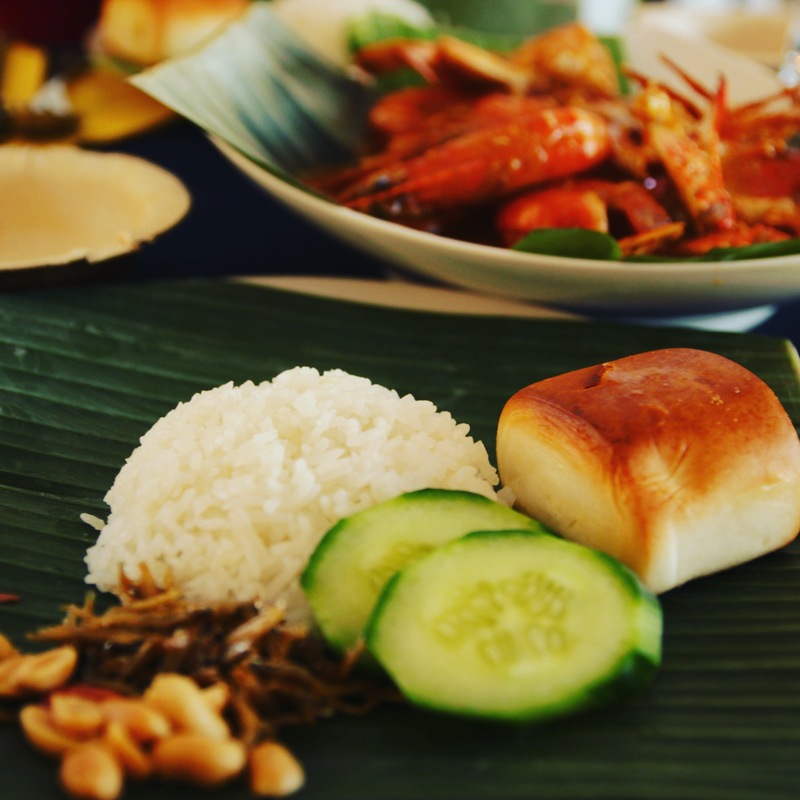 Nasi Lemak was made with rice cooked with organic coconut oil, served with anchovies and peanuts, fresh cucumber, egg with sambal chilli and onions. 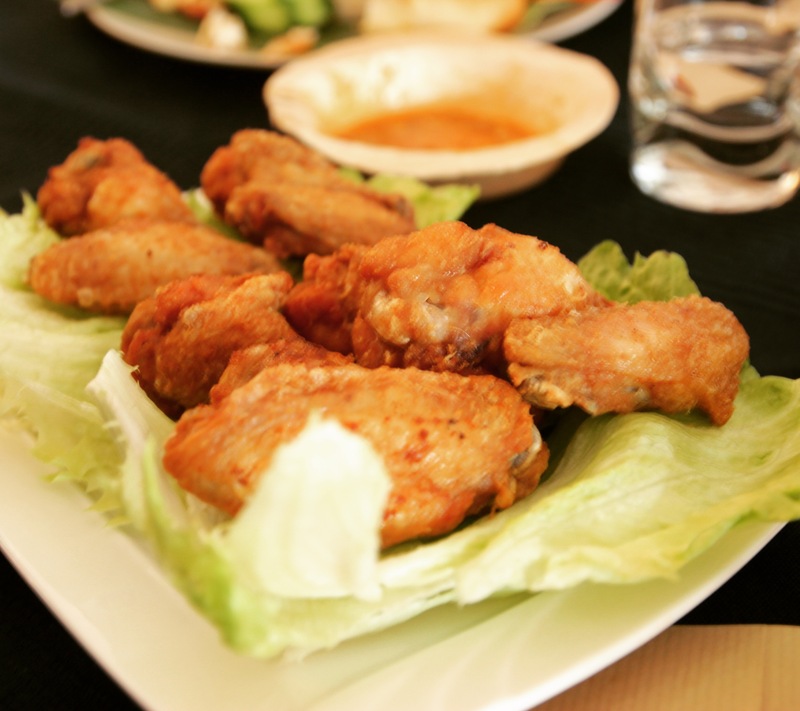 We also had extra side dishes: Otah Otah which is blended mackeral and spices in banana leaf, and fried chicken wings. 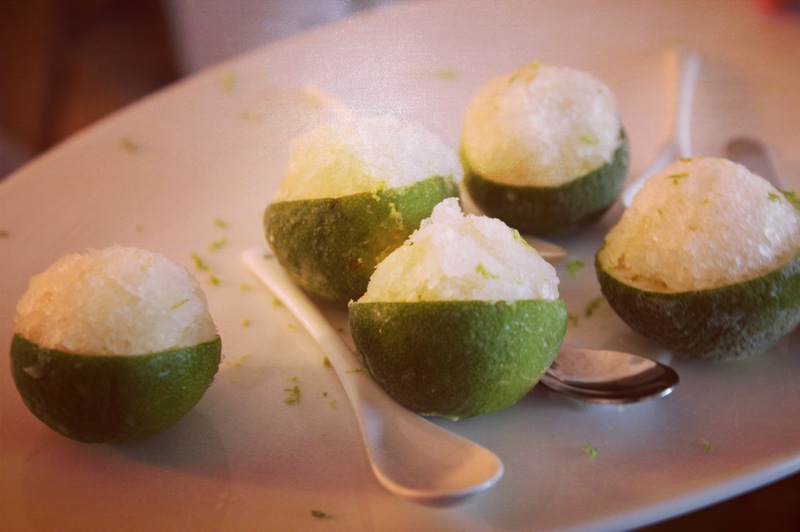 Shortly after the second course, they also served us the home-made lime sorbet for refreshing. We also had coffee or tea to end the dinner, with some chiffon cake to accompany the last bite of the night. The dinner was marvellous, they were so kind and thoughtful throughout the whole event. The effort and time they put into such event are very admirable! I want to help them to spread their good intention via my blog post, please share it on your social media pages if possible to let more people in the Netherlands know about Eat2Feed club. We can all donate a small amount to help the hunger and support Eat2Feed club. It is also a great way to meet new people, enjoy awesome food and have a good time together! You can like them on Facebook, follow them on Instagram to stay tuned for their next events! 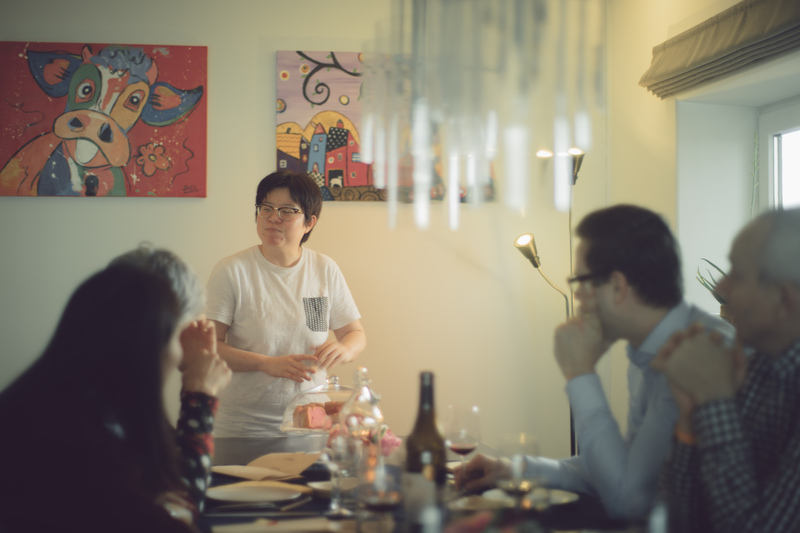 Last but not least, I want to thank Jael and Jacqueline once again for organise the event, for putting so much effort in making this wonderful dinner and of course for your good intentions! 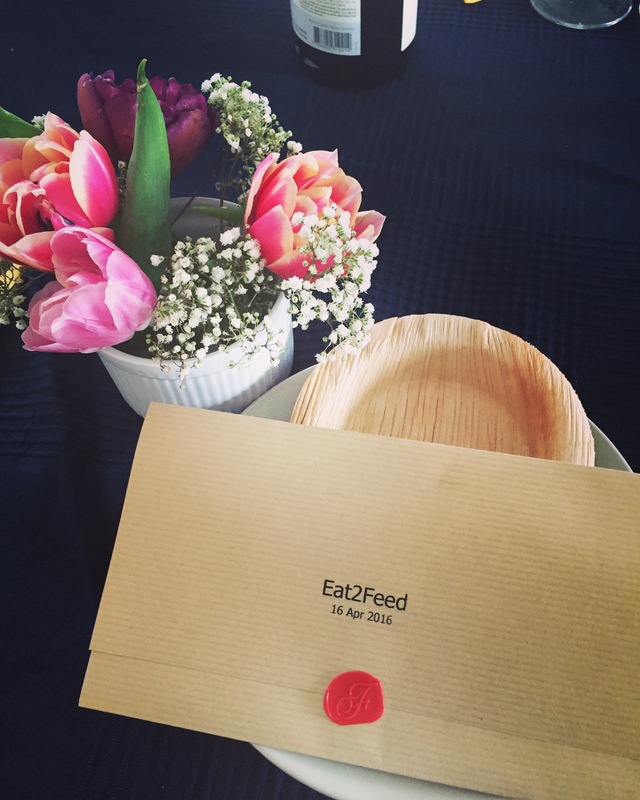 It was the first time for us to attend the Eat2Feed event, and surely was not the last one! Photos are taken by Emily Li.